Verwijder ongewenste achtergronden van digitale foto's , in batch-modus. Photo Background Remover helpt je bij het verwijderen van ongewenste achtergronden van digitale foto's, in batch-modus. Handmatige verwijdering werkt met de hulp van twee markers: een rode marker om het achtergrondgebied aan te geven die verwijderd moet worden en de groene om die gebieden te selecteren die ongemoeid moeten blijven. Automatische achtergrondverwijdering vereist geen handmatige aanpassingen, het programma doet dat zelf. Verder beschikt het programma over een watermerkfunctie. Koop een onbeperkte persoonlijke licentie (met ondersteuning en updates) met 70% korting! Sketch Drawer is een beeldbewerkingssoftware dat je foto’s verandert in pentekeningen. Het programma biedt gebruikers de mogelijkheid om van normale foto’s fantastische pentekeningen te maken, in zwart-wit of in kleur. Tijdens het genereren van de pentekening kun je aanpassingen doen in de instellingen en opties. Het beschikt over twee manieren om je foto’s te bewerken: handmatig of aan de hand van kant-en-klare presets. Deze presets kunnen als gids voor beginners worden gebruikt. Koop een persoonlijke licentie met 70% korting. 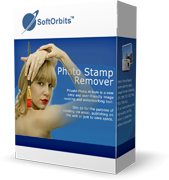 Photo Stamp Remover is een fotocorrectie tool dat watermerken, datumstempels en andere ongewenste objecten kan verwijderen van foto’s. Met een volledig geautomatiseerde verwerking, het programma maakt gebruik van intelligente hersteltechnologie om het geselecteerde gebied te vullen met structuur van de omringende pixels, waardoor het een evenwichtig geheel vormt met de rest van de afbeelding. Wat normaliter heel veel tijd kost met bijv. een kloontool, kan met de Photo Stamp Remover in minuten. 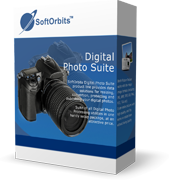 SoftOrbits Digital Photo Suite product lijn biedt data oplossingen voor schalen, conversie, bescherming en publicatie van je digitale foto’s. Not worth it. Tried it on a simple image. Supposed to be easy & clean. Easy, but sure not clean & intelligent as advertised. About three years ago there was an issue about Softorbits giveaways removing the validation for other Softorbits programs, even if paid for, on the same computer; see eg https://www.giveawayoftheday.com/photo-stamp-remover-2. There was also a thread on a GAOTD forum. I'd want some reassurance that this wasn't still happening before trying this one. About three years ago there was an issue about Softorbits giveaways removing the validation for other Softorbits programs, even if paid for, on the same computer; see eg https://www.giveawayoftheday.com/photo-stamp-remover-2. There was also a thread on a GAOTD forum. I'd want some reassurance that this wasn't still happening before trying this one. A few of you are having luck. Tried several time to activate with supplied key. No joy. Wants me to buy. Not happening. Uninstalled. FWIW, basically what you're doing when you want to alter or remove the background in an image, is you're selecting the boundary of the subject you want to keep as-is, then copying just what's contained within that boundary. The difficult part is that object edges -- where the subject you want to keep ends & the background begins -- are very often not sharp & clearcut, but blended & blurred. Deciding exactly where to place the lines of that boundary *for the best results* can be very hard, especially if/when you want software to do it automatically, or even semi-automatically. As v commented, Photo Background Remover can work "well enough", depending on the image, but its selling point is the app's ease of use. Adobe has done an extreme amount of work developing & improving P/Shop's semi-automated selection tools, which give results many pros consider among the best, if not The best in the biz, but you still have to trace the subject, preferably using a tablet & pen, & then perform a semi-automated touch-up, and possibly 2 or 3 more steps to clean things up. Competing software likewise all requires some tracing. Photo Background Remover is MUCH easier. Your mileage using Photo Background Remover will vary, depending on both the image quality & complexity -- because it's more automated than most software solutions, it's going to be more sensitive to stuff that makes good quality selections harder to achieve... things like single strands of hair are always going to be hard to manage; photos with lots of noise may not have hard enough edges to make good quality selections [boundaries] possible; very complex backgrounds, &/or backgrounds that are similar in color to the subject often confuse software. You might get better results using some other software, but it's not going to be this easy. FWIW, basically what you're doing when you want to alter or remove the background in an image, is you're selecting the boundary of the subject you want to keep as-is, then copying just what's contained within that boundary. The difficult part is that object edges -- where the subject you want to keep ends & the background begins -- are very often not sharp & clearcut, but blended & blurred. Deciding exactly where to place the lines of that boundary *for the best results* can be very hard, especially if/when you want software to do it automatically, or even semi-automatically. As v commented, Photo Background Remover can work <i>"well enough"</i>, depending on the image, but its selling point is the app's ease of use. Adobe has done an extreme amount of work developing & improving P/Shop's semi-automated selection tools, which give results many pros consider among the best, if not The best in the biz, but you still have to trace the subject, preferably using a tablet & pen, & then perform a semi-automated touch-up, and possibly 2 or 3 more steps to clean things up. Competing software likewise all requires some tracing. 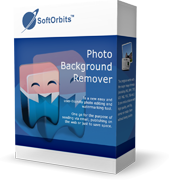 Photo Background Remover is MUCH easier. Your mileage using Photo Background Remover will vary, depending on both the image quality & complexity -- because it's more automated than most software solutions, it's going to be more sensitive to stuff that makes good quality selections harder to achieve... things like single strands of hair are always going to be hard to manage; photos with lots of noise may not have hard enough edges to make good quality selections [boundaries] possible; very complex backgrounds, &/or backgrounds that are similar in color to the subject often confuse software. You might get better results using some other software, but it's not going to be this easy. I went to get activation key over an hour ago still nothing in inbox or spam/junk. Seems like it is a problem with this software company. I went to get activation key over an hour ago still nothing in inbox or spam/junk. Seems like it is a problem with this software company.